Children with a chronic physical illness have a substantially elevated prevalence of psychiatric illness. Children with a chronic physical illness have a substantially elevated prevalence of psychiatric illness. The odds of having a mental health disorder were 62% higher among children with vs without a chronic physical condition, even after adjusting for sociodemographic variables and access to health care, according to results from a study published in 2016.1 The risk for psychopathology is even greater among children who have chronic central nervous system (CNS) disorders. Psychiatric comorbidity has a significant impact on quality of life and psychosocial outcomes in this population, underscoring the importance of adequate screening and treatment measures.2 To elucidate the unique considerations involved in caring for these patients, Neurology Advisor spoke with Janelle L. Wagner, PhD, licensed clinical psychologist, research associate professor of nursing and pediatrics, and faculty member of the Comprehensive Epilepsy Center at the Medical University of South Carolina; and David W. Dunn, MD, the Arthur B. Richter professor of child psychiatry, professor of psychiatry and neurology, and director of the child and adolescent psychiatry section at Indiana University School of Medicine. Neurology Advisor: How might the presence of epilepsy influence treatment of psychiatric comorbidities? Dr Wagner: Up to 50% of persons with epilepsy also experience cognitive/neurodevelopmental and/or psychiatric comorbidities, and we are learning more about the bidirectional relationship between epilepsy and these psychiatric comorbidities, including neuroanatomic and neurotransmitter overlap, and providing support for epilepsy as a spectrum disorder.6 Epilepsy healthcare providers are being encouraged to screen for and potentially initiate medication management for these psychiatric symptoms in persons with epilepsy. Dr Dunn: One of the first steps in treatment of psychiatric problems in people with epilepsy is to check on seizure control and AEDs. Frequent seizures can have a negative impact on attention, and nocturnal seizures may leave a patient feeling tired the following day. AEDs may have adverse effects that could contribute to ADHD, anxiety, or depression. Most psychiatric medications are safe, but care should be taken in choosing psychotropic medication, and the response should be monitored. Stimulants such as methylphenidate or amphetamines can be used by people with epilepsy and ADHD without the risk of loss of seizure control. Antidepressants may be used without an increase in seizure frequency with certain exceptions — bupropion and the tricyclic antidepressants may lower seizure threshold and should be used with caution. Clomipramine may also lower seizure threshold. Of the antipsychotics, clozapine is most likely to cause seizures. Olanzapine and quetiapine have a lesser effect on increasing seizure number. [As] psychotropic medications may interact with AEDs, blood levels of AEDs should be checked after starting, changing doses, or discontinuing psychotropic medication. Neurology Advisor: What is known about the influence of AEDs on psychiatric comorbidities? Dr Wagner: Given the potential shared mechanisms between epilepsy and psychiatric disorders, it is not surprising that AEDs may influence psychiatric symptoms. For example, in a pediatric study, psychiatric or behavioral adverse effects to AEDs were more likely to develop in youth with medically refractory epilepsy and/or a history of psychiatric diagnosis.9 Similarly, higher hyperactivity/impulsivity in children with new-onset epilepsy at baseline predicted greater behavioral adverse effects to AEDs at 1 month post-AED initiation.10 In an adult study, Kanner and colleagues showed that comorbid depressive and anxiety symptoms can worsen the severity of adverse effects associated with AEDs.11 These studies raise an important consideration — the onset of psychiatric symptoms. Dr Dunn: AEDs are also known mood stabilizers, and some AEDs are used to treat bipolar disorder. As with all medications, there are potential adverse effects of AEDs. The older drug phenobarbital has caused inattention, hyperactivity, and depression. Newer AEDs such as perampanel and brivaracetam can cause irritability. Behavioral adverse effects are less common with other second- and third-generation AEDs, but after starting an AED, the physician should monitor for anxiety, depression, inattention, or irritability. Neurology Advisor: How might clinicians discern AED-related psychiatric comorbidities vs those unrelated to AEDs, and in either case, what is the optimal approach for treating these issues? Dr Wagner: To tease apart AED-related psychiatric comorbidities and those unrelated to AEDs, clinicians must conduct baseline psychiatric screening prior to AED initiation and continue screening throughout the course of AED treatment. If significant psychiatric symptoms are present prior to AED initiation, clinicians are encouraged to treat those symptoms as comorbid as they move forward with AED initiation. If screening at baseline does not occur, these comorbid psychiatric symptoms may be confused with AED adverse effects, resulting in unnecessary changes to the AED regimen. It is important to note that these patients are at risk for worsening psychiatric symptoms with AED treatment. Dr Dunn: It can be difficult to decide if emotional and behavioral problems are due to seizures, AEDs, intrinsic emotional reactions of the person with epilepsy, or a response to the negative reaction of family or people in the community. In general, if the psychiatric problem seems to follow introduction of a new AED or an increase in AED dose, consider that psychiatric problems may be an adverse effect of AED. It may require stopping the AED to see if problems resolve. Neurology Advisor: What should be next steps in this area, in terms of research or otherwise? Dr Wagner: As part of comprehensive epilepsy management, clinicians should consider treating both seizures and psychiatric symptoms, or at the least, screening for psychiatric symptoms and referring to a mental health professional if warranted. Screening for psychiatric symptoms is necessary at baseline, prior to AED initiation, and throughout the course of AED treatment. Next steps for research include continued examination of shared mechanisms for epilepsy and psychiatric disorders, nonpharmacologic interventions for psychiatric disorders, and standardized assessment of AED adverse effects in routine epilepsy care. Dr Dunn: We need to know who is at most risk for adverse effects from AEDs. Factors that might be important are the past history of the individual or a family history of emotional or behavioral problems. Pharmacogenomics research is assessing drug metabolism for clues to potential adverse effects or variable response to medications. The hope is to develop precision medication for the individual. There is still much research to be done. Suryavanshi MS, Yang Y. Clinical and economic burden of mental disorders among children with chronic physical conditions, United States, 2008–2013. Prev Chronic Dis. 2016;13:150535. Plioplys S, Dunn DW, Caplan R. 10-year research update review: psychiatric problems in children with epilepsy. J Am Acad Child Adolesc Psychiatry. 2007;46(11):1389-1402. Alfstad KÅ, Torgersen H, Van Roy B, et al. Psychiatric comorbidity in children and youth with epilepsy: an association with executive dysfunction?Epilepsy Behav. 2016; 56:88-94. Bolton PF, Carcani-Rathwell I, Hutton J, Goode S, Howlin P, Rutter M. Epilepsy in autism: features and correlates.Br J Psychiatry. 2011;198(4):289-294. Caplan R. Psychopathology in pediatric epilepsy: role of antiepileptic drugs. Front Neurol. 2012;3:163. Jensen FE. 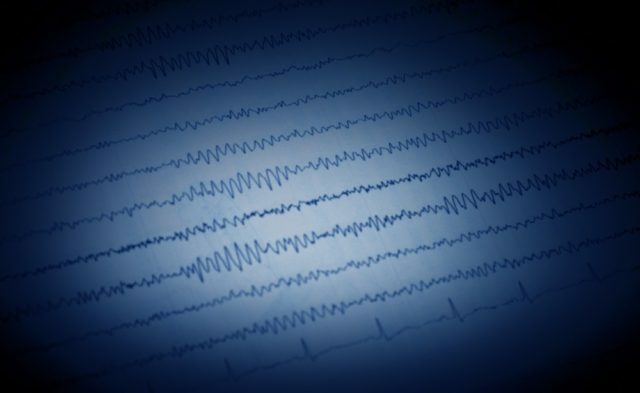 Epilepsy as a spectrum disorder: implications from novel clinical and basic science research. Epilepsia. 2011;52(Suppl 1):1-6. Kerr MP, Mensah S, Besag F, et al; International League of Epilepsy (ILAE) Commission on the Neuropsychiatric Aspects of Epilepsy. International consensus clinical practice statements for the treatment of neuropsychiatric conditions associated with epilepsy.Epilepsia. 2011;52(11):2133-2138. Michaelis R, Tang V, Wagner JL, et al. Cochrane systematic review and meta-analysis of the impact of psychological treatments for people with epilepsy on health-related quality of life. Epilepsia. 2018;59(2):315-332. Chen B, Detyniecki K, Choi H, et al. Psychiatric and behavioral side effects of anti-epileptic drugs in adolescents and children with epilepsy. Eur J Paediatr Neurol. 2017;21(3):441-449. Guilfoyle SM, Follansbee-Junger K, Smith AW, et al. Antiepileptic drug behavioral side effects and baseline hyperactivity in children and adolescents with new onset epilepsy. Epilepsia. 2018;59(1):146-154. Kanner AM, Barry JJ, Gilliam F, Hermann B, Meador KJ. Depressive and anxiety disorders in epilepsy: do they differ in their potential to worsen common antiepileptic drug-related adverse events. Epilepsia. 2012;53(6):1104-1108. Cramer JA, Blum D, Reed M, Fanning K; Epilepsy Impact Project. The influence of comorbid depression on seizure severity. Epilepsia. 2003;44(12):1578-1584. Ettinger AB, Good MB, Manjunath R, Faught RE, Bancroft T. The relationship of depression to antiepileptic drug adherence and quality of life in epilepsy. Epilepsy Behav. 2014;36:138-143.